Savage VPN – The Free Unlimited Premium VPN Android App Review. A Virtual Private Network (VPN) for Android can do everything on your phone or tablet that it can on a full desktop computer. If you’re using an Android phone, you should be using a VPN whenever you connect to the internet. Using a VPN offers you: Privacy: For example if i want to make sure my internet activity is hidden from my Internet Service Provider (ISP, Government,Google and other sites) And Unlocking content: I want to access content from other countries or services that is not available in my country. Using a VPN helps you accomplish all that which makes your life much more easy and fun. In this article we are reviewing one of the best free unlimited premium Android VPN App called “Savage VPN” We have so many Android free VPN apps but Savage VPN crowns them all as the best of all free android Vpn apps. Savage VPN brings the best to you, secure connection on the internet. Grants you access to all those blocked websites you want to visit at work or in school. It Works with all such of internet connection like Wifi, 4G, 3G and supports every mobile carrier in your country. The Savage VPN is very easy to use. Just download the free app from the google play-store, open and click the connect button to rock the free unlimited premium vpn service. Why Use The Savage Android VPN? Just like the internet traffic activity that you send from your home or work computer, the traffic you send from your phone should be protected against tracking. The Savage VPN provides that secured connection for you with ease. The Savage VPN gives you premium access to any websites of your choice even though your IP address or country has been blocked or blacklisted. 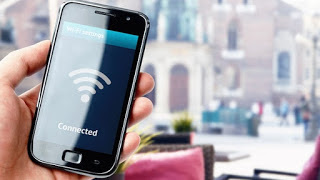 You surf freely on the web with a secured connection and access to any website you want. Now you can enjoy the full functionality of the Savage VPN services on your Android.